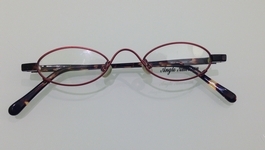 More women wear oval shaped eyeglasses that any other shape. 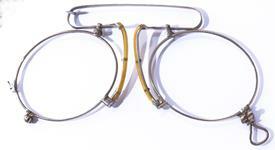 "Oval" is a large category, because it encompasses any shape that does not have corners. Women typically go for this shape because it has softer lines and is thus more "feminine". 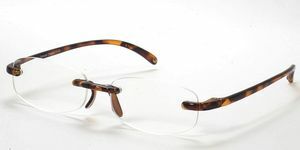 We offer nearly 900 different styles of oval eyeglass frames for women, but do not be overwhelmed - you can start there and winnow that number down by size, color, type, and many other variables. 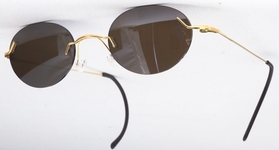 For example, we love oval Tom Ford eyeglasses because the large eye sizes are very flattering. 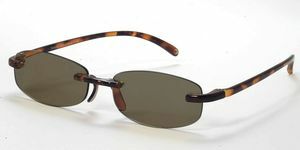 Oval Flexon frames are much more conservative in look, but they provide great flexibility and durability. 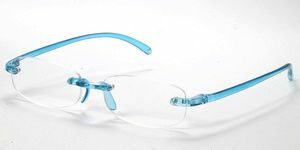 Some women like the sleek rimless look, so you can check out our selection of rimless oval frames. 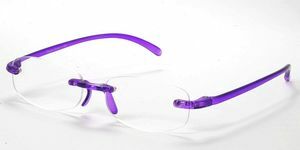 The most popular material used for women's oval frames is plastic, mostly because plastic frame are more colorful and have softer lines than their metallic cousins. 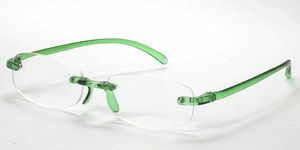 We also prefer oval frame Made in Italy, because Italy is the birthplace of the modern eyeglass industry and quality tends to be excellent in Italy, compared to China and other countries.